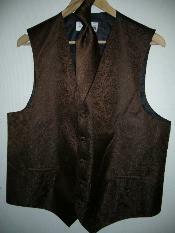 Are you looking for some different style in men's jackets and vests? 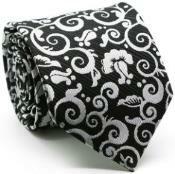 When we say different in what context do you take it? 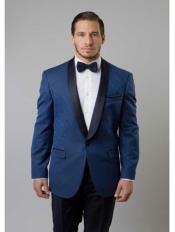 A different outfit is something that has to do with making a bold statement or making the look and personality of the wearer stand out from the crowd. 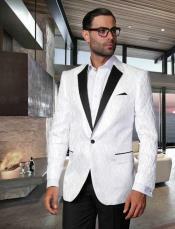 While it comes to unique and different style, there is an option in terms of fabric, style, design and print. 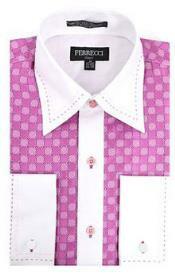 While print plays an important role in the nature of the outfit, style, fit, color and design are also equally important. 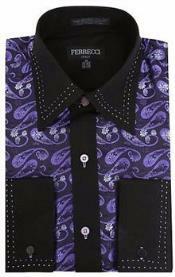 While considering the pattern, Paisley is the new trend in different collection for men's jackets and vests. 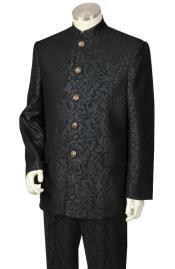 The paisley design suits and jackets come in different print designs and styles. 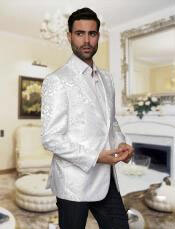 You can consider wearing these paisley print jackets for all kinds of occasions like the prom night, thanksgiving nights, weddings and business events. 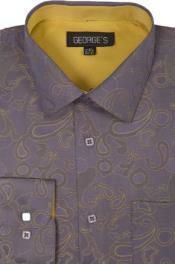 The paisley print comes in different colors as well a self color designs. 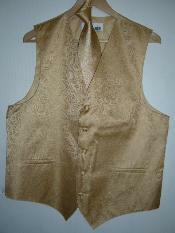 The overall look of a paisley print outfit is shiny in appearance and often looks grand. 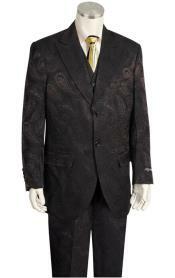 You will find different designs in paisley print suits for men. 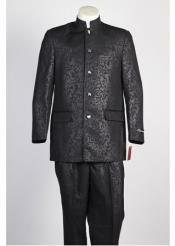 You can choose a mandarin collar or the Nehru style collar suit for men that come in a paisley print style. 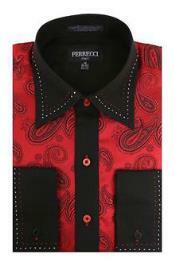 Paisley styles come in different colors and different print patterns. 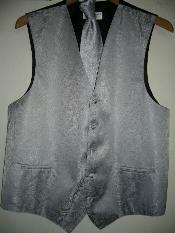 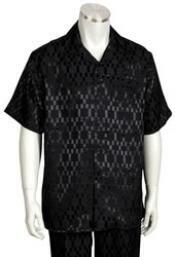 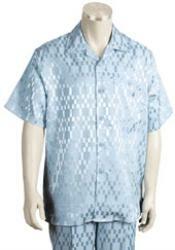 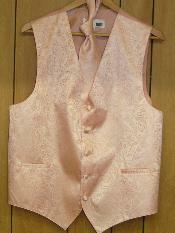 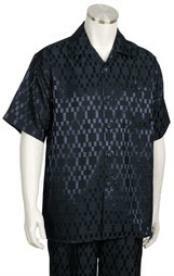 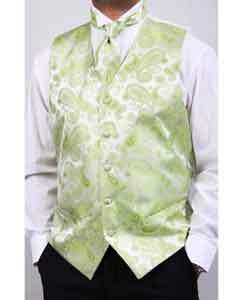 Apart from paisley print suits, you may also find other clothing for men in paisley prints. 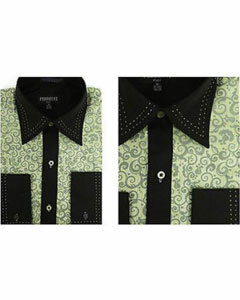 We at Mensusa have search category to refine pattern wise, color wise and style wise. 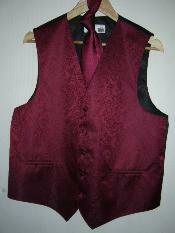 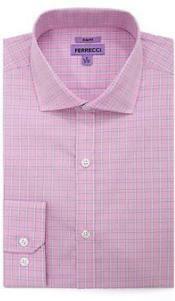 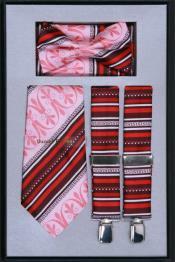 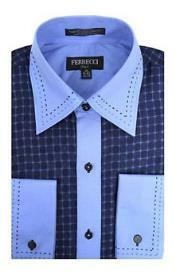 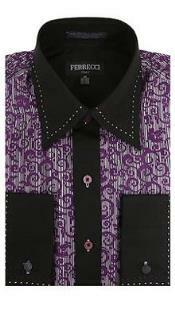 This particular section offers to you different clothing collection for men in paisley design. 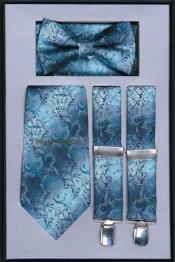 You will be amazed to find paisley print neck ties, paisley print vests for men, paisley jackets, paisley dress shirts, paisley design tuxedos and so on. 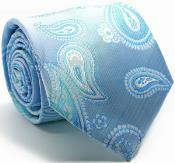 You can find the paisley print designs in different fabrics like cotton, polyester, linen, sequin and even sharkskin. 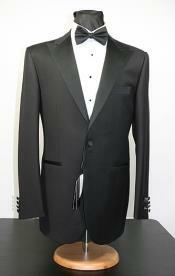 The design is evident in all types of fabrics. 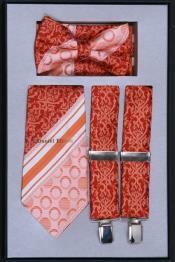 It is based on the choice of the wearer to select the fabrics. 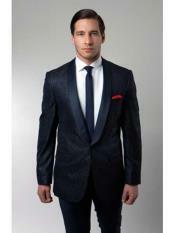 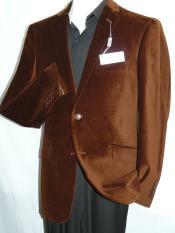 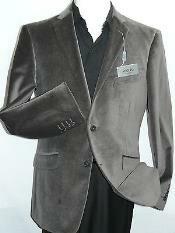 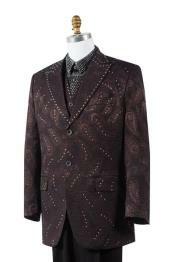 We sell all sizes in paisley suits, paisley jackets for men. 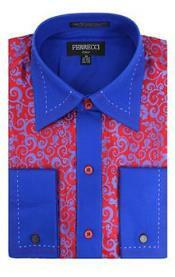 Hence you are sure to find one clothing for you if you are a paisley fan. 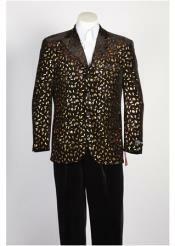 The sequin with paisley pattern is the best combination that you will ever find for fabric and design. 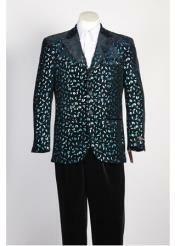 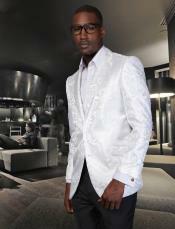 The sequin fabric in men's jacket is slightly shiny in appearance and makes the paisley pattern look bold and evident. Paisley is a good and unique choice for tuxedos as well. 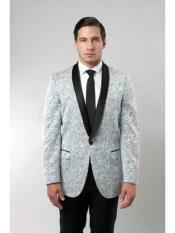 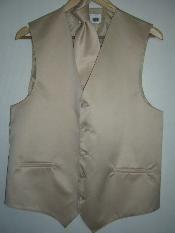 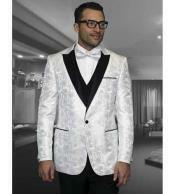 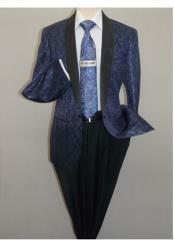 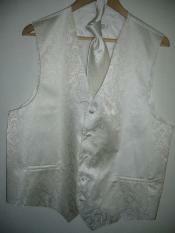 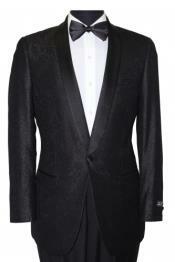 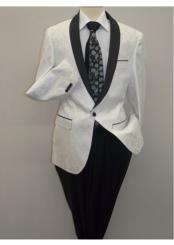 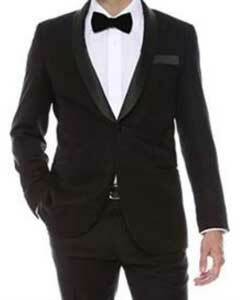 You can choose to wear a paisley shawl collar tuxedo for men to grace an occasion like wedding. 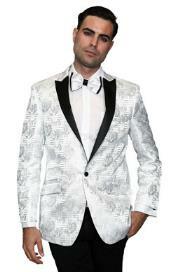 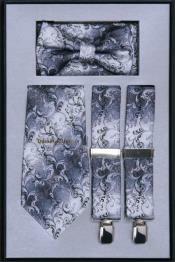 You are sure to look different and classy in the sassy style that the paisley tuxedo for men renders.